Located in Punta Gorda, FL you’ll find comfort and convenience in this luxury apartment community. Charlotte Crossing offers spacious one and two bedroom apartment homes for seniors ages 55 and better, that feature fully equipped kitchens with granite countertops, custom cherry cabinets, ceramic tile, and modern upgrades throughout. Residents can also enjoy our indoor community center, fitness center, library, and resort-style swimming pool. Our friendly staff also offers unique resident programs and events. We are just minutes from I-75, downtown Punta Gorda Historical District, Fisherman's Village, and Ponce de Leon Park for your shopping and entertainment. 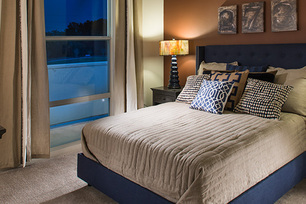 Lease today to understand why our residents love to come home to Charlotte Crossing!